In her recently published memoir God and Other Men, Myrna J. Smith sets out to love herself, to find an inner place where she can rest and grow. She writes: I also did what my family members and millions of others all across the world have done when they found the world lacking and their own hearts empty. I began looking for a spiritual path. If I could not find happiness as a wife, mother, and professional, maybe I could find it in religion. While every writer may have a grand vision for their book, the craft of writing is often developed after reading great literature. 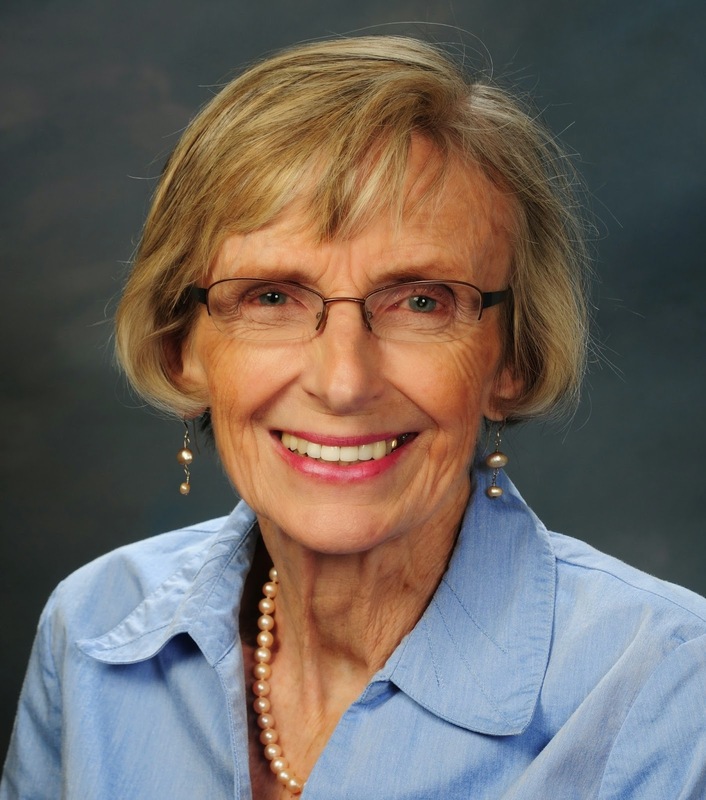 A former college professor, Smith, who was 74 years old when she published her memoir, talks about the importance of studying literature with an eye toward honing our own narratives. An avid world traveler, Smith now resides in Frenchtown, N.J. a small town on the Delaware River. As part of the WOW! 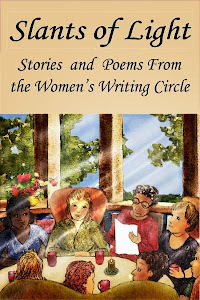 (Women on Writing) blog tour, please welcome Myrna J. Smith to the Women's Writing Circle. Who could resist continuing to read after the opening line of Flannery O’Connor’s story “A Good Man is Hard to Find”? "The Grandmother didn’t want to go to Florida. She wanted to visit some of her connections in east Tennessee and she was seizing at every chance to change Bailey’s mind. 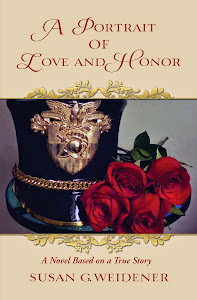 Bailey was the son she lived with, her only boy." In three sentences O’Connor provides the reader two main characters, a conflict, and a setting. Certain pieces of literature, such as “A Good Man is Hard to Find,” appear in anthologies, giving teachers an opportunity to discuss them more than once. This particular O’Connor story lends itself to multiple teachings because her truth is neither pleasant nor obvious. She makes the reader examine her language to find her message. O’Connor’s Christian faith comes through in the story, but she does not impose it on the reader: she lets the reader discover it. 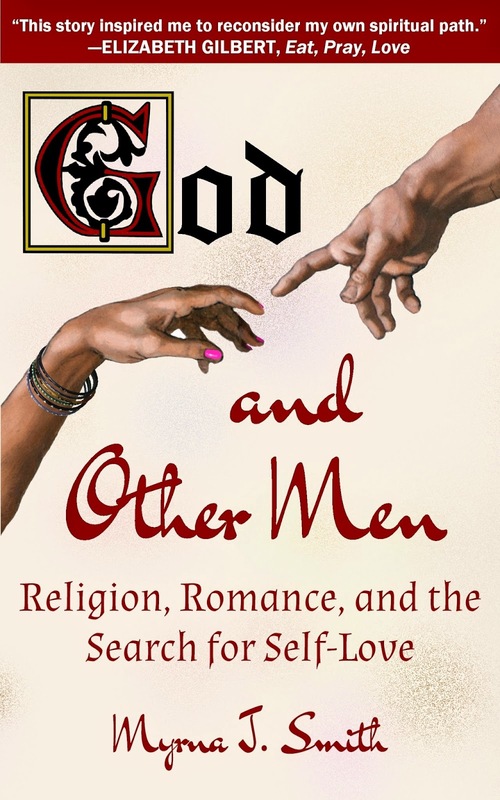 In writing my own book God and Other Men: Religion, Romance and the Search for Self-Love, I knew I could not announce that my main topic was the spiritual search. I had to start with a problem and explore that problem through a story. 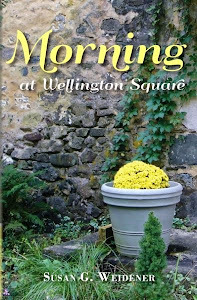 Like good stories, such as those of O’Connor’s, I wanted mine to say something significant about my own spiritual life and hopefully to help my readers with theirs. Had I not taught so much literature I might have been tempted to over explain why I had come to the point of view that I have. Leo Tolstoy’s “The Death of Ivan Illych” is another story I taught numerous times yet never tired of reading and discussing it with students. The story begins with his friends learning of the death of Ivan Illych; it then reverts to the story of his life, a life that resembles the lives of so many people, particularly those of us in the middle or upper middle class. The details of his life are ordinary, but Tolstoy makes us—allows us—to become so involved in Ivan Illych’s life that the mundane becomes the universal. The story ends with the dying days of Illych’s life where he sees that his life has been wasted in the pursuit of conformity and materialism. This causes him such extreme suffering that only his servant can bear to stay with him through his last three days of wailing. He, like O’Connor, makes a moral statement but does it without stating it directly. In these two stories and all good literature, every sentence advances the narrative or contributes to the main idea. My concern about over explaining or being didactic may sometimes work against me. My daughter reminds me that I might do better occasionally to over explain. Perhaps I took too many lessons from Ernest Hemingway or especially Raymond Carver, who pared his stories down to the absolute bare essentials. But I would rather leave the readers wanting more than risk putting them to sleep! What books inspired you? How has reading made you a better writer? 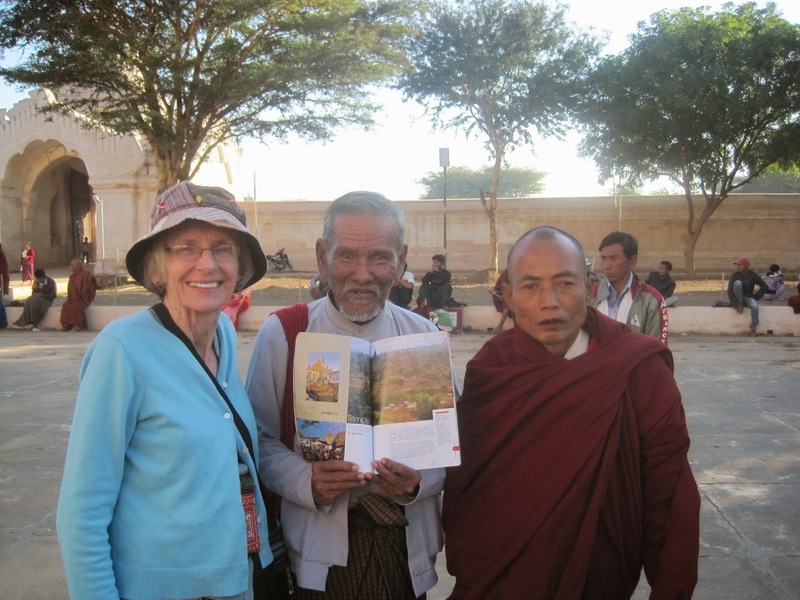 Captions: Myrna Smith with a Buddhist monk and guide at the Ananda Festival in Bagan, Myanmar, January 2015. 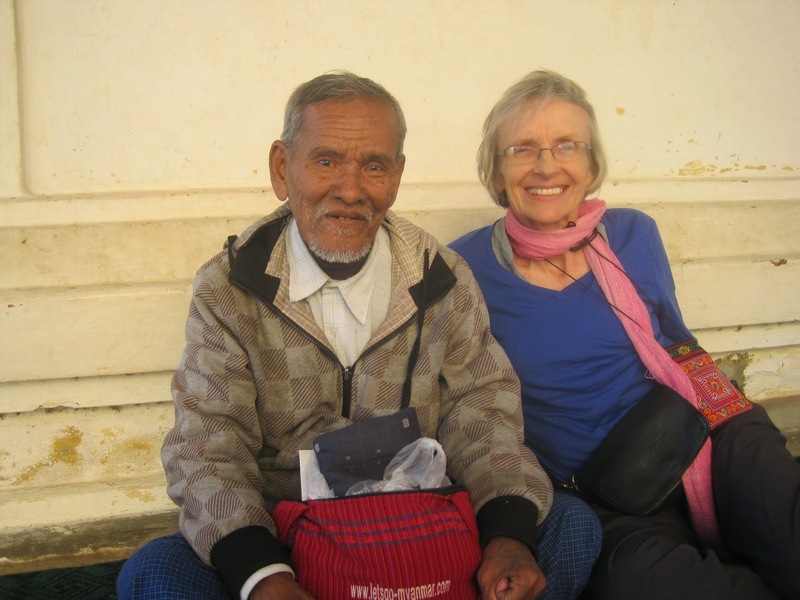 Myrna Smith with a Buddhist guide in Bagan, Myanmar. 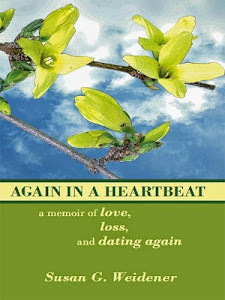 About the Author: Myrna J. Smith held a faculty position in the English Department at Raritan Valley Community College, Somerville, N.J., from 1970-2004, where she took leave for two and a half years to serve as Associate Director of the Center for Teaching and Learning housed at Seton Hall University in South Orange, N.J. She received a Ed.D. from Rutgers, The State University of New Jersey in New Brunswick, N.J. Smith also had two Mid-Career Fellowships to attend Princeton University, one in English and one in religion. She recently returned from a five-week trip to Asia: two weeks with a small group to Myanmar and a few days in Hong Kong, where she has friends, and Vietnam for 10 days. The year before Smith traveled to Thailand and Cambodia and the year before that to Indonesia, both with small groups. She also travels in Canada and the northeast U.S. with her sister, brother, and their spouses most years.